From frozen deep fry at 350ºF for 4-6 minutes or until golden brown or bake in a pre-heated 350ºF convection oven for 8-10 minutes or until done. Maryland style crab cakes are a timeless classic hors d’oeuvre and / or entrée that have graced dining menus throughout all types of establishments. The perfect flavor profile of Old Bay seasoning and sweet lump crab meat pairs well as a casual basket item with fresh hand-cut fries and a remoulade sauce, or dressed up with a hollandaise sauce and fresh asparagus for those black-tie events. 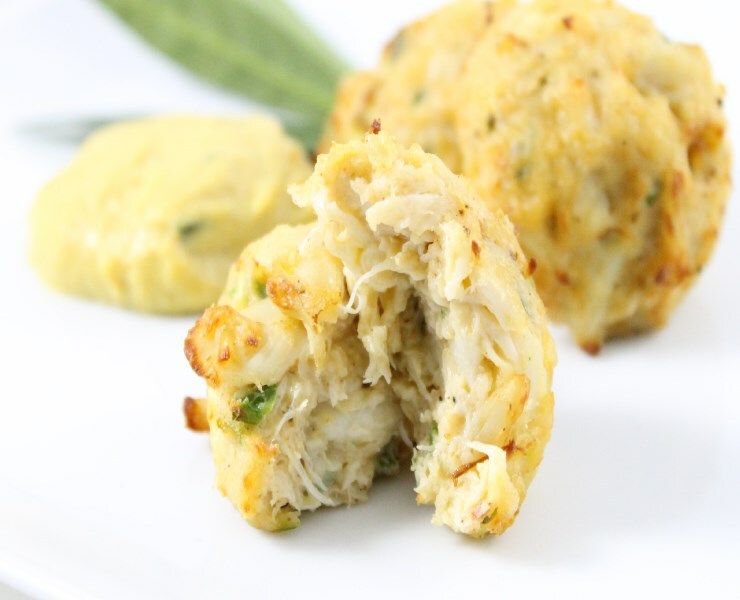 Available in three sizes, .75oz, 1.0oz and 3.0oz portions, Kabobs’ Premium Maryland Lump Crab Cakes consist of fresh Blue Swimming jumbo lump crab meat, paired with Old Bay seasoning, Dijon mustard, mayonnaise, and fresh green onions. A velvety blend of sweet corn, rich heavy cream, and fresh eggs. Perfect as a side, breakfast, or dessert. Warm, buttery flavors of sweet potato, paired with nutmeg, cinnamon, and vanilla, and topped with a granola crumble. A mouth-watering mixture of shredded beef, cheddar cheese, jalapenos and exotic spices wrapped in a maseca corn pastry. A cool tropical assortment of our bite-size delectable cheesecakes with sweet graham cracker crust and colorful fruit puree swirl - Lemon Blueberry, Key Lime, and Strawberry Margarita.